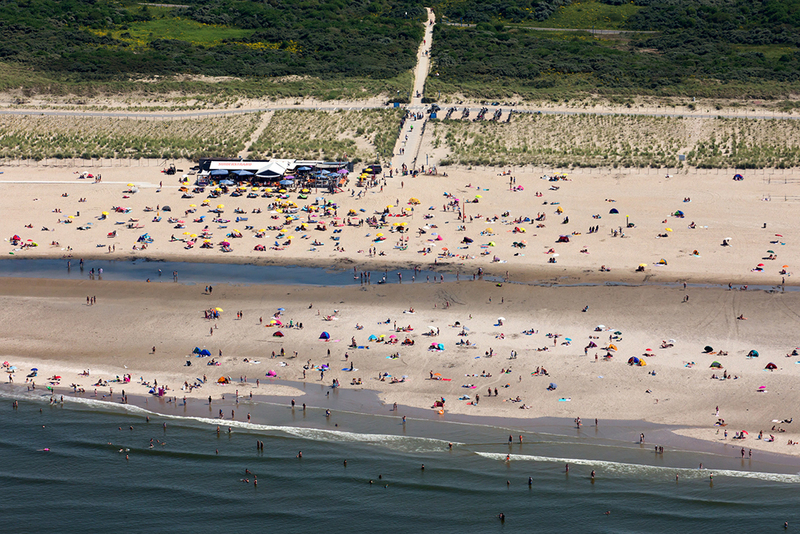 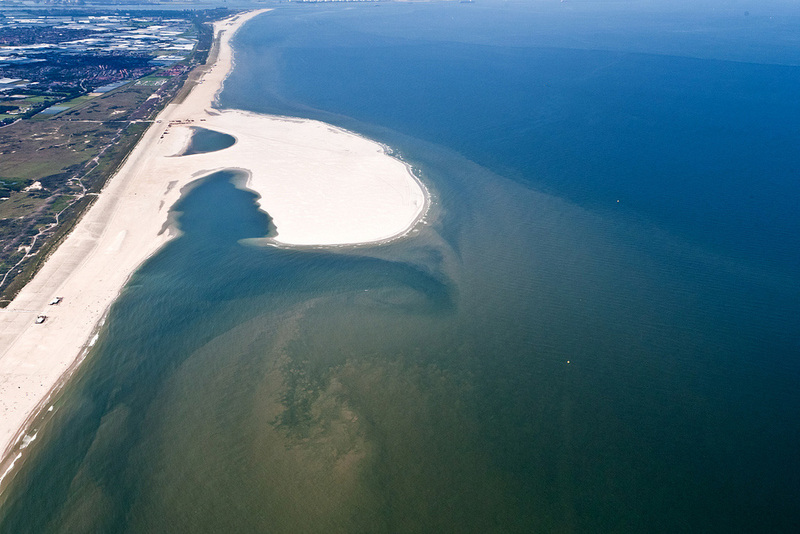 Every year, the sea takes sand from the Dutch coast. 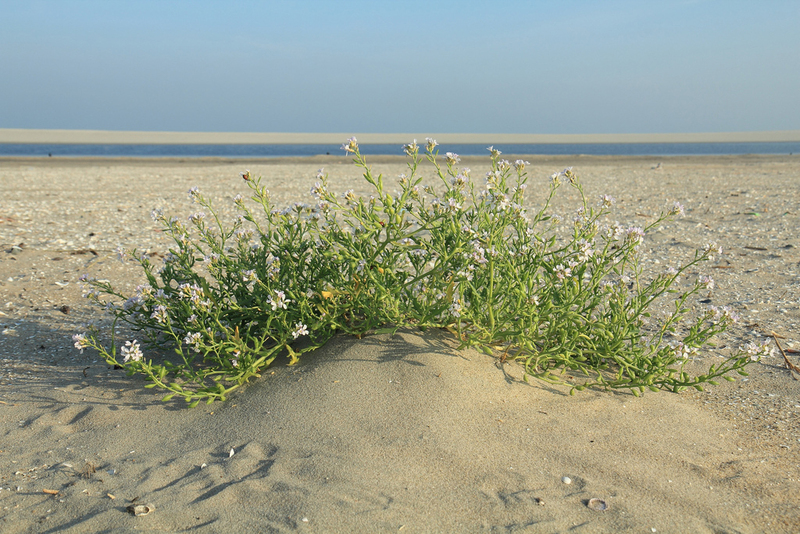 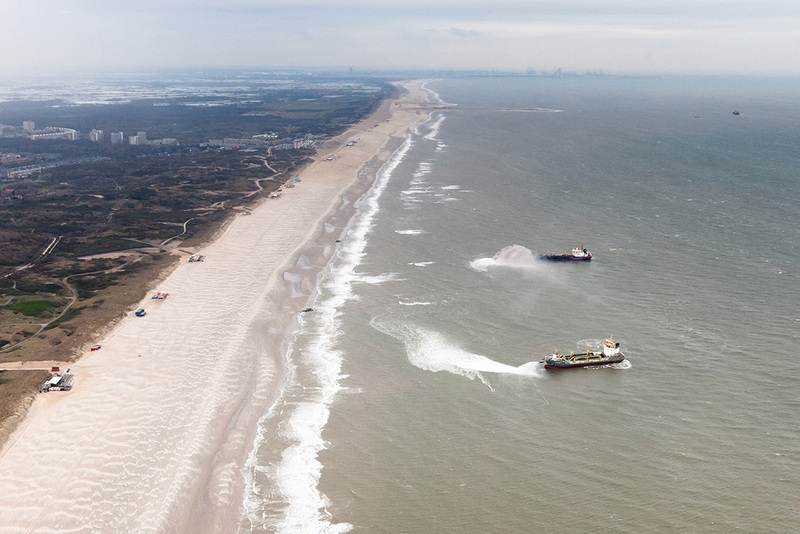 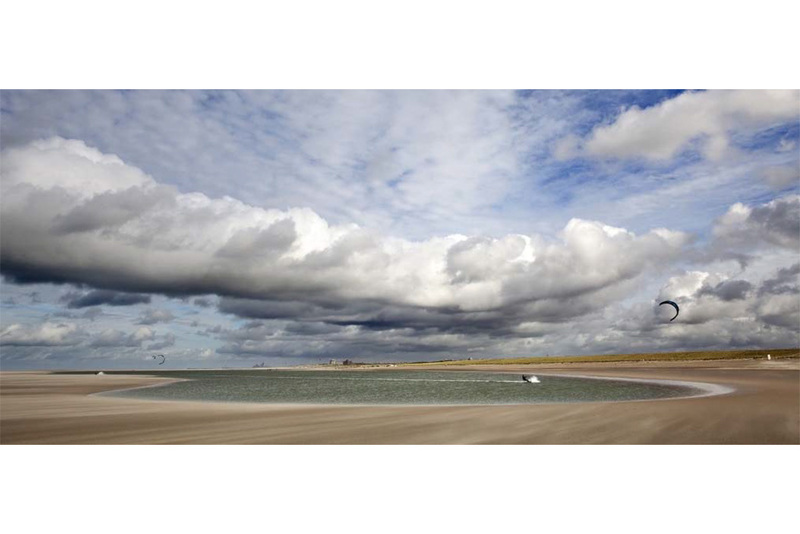 Every five years, Rijkswaterstaat (The Ministry of Infrastructure and Environment) replenishes the shortfall by depositing sand on the beaches and in the offshore area, to protect the west of the Netherlands which is below sea-level. 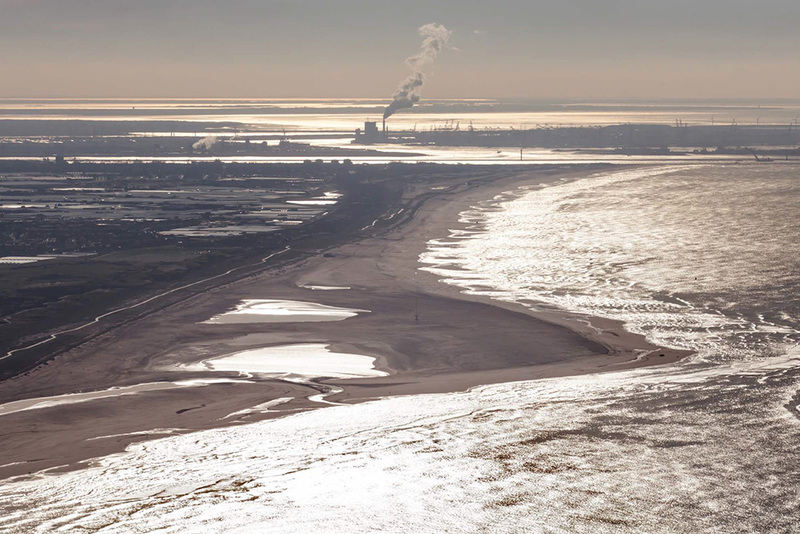 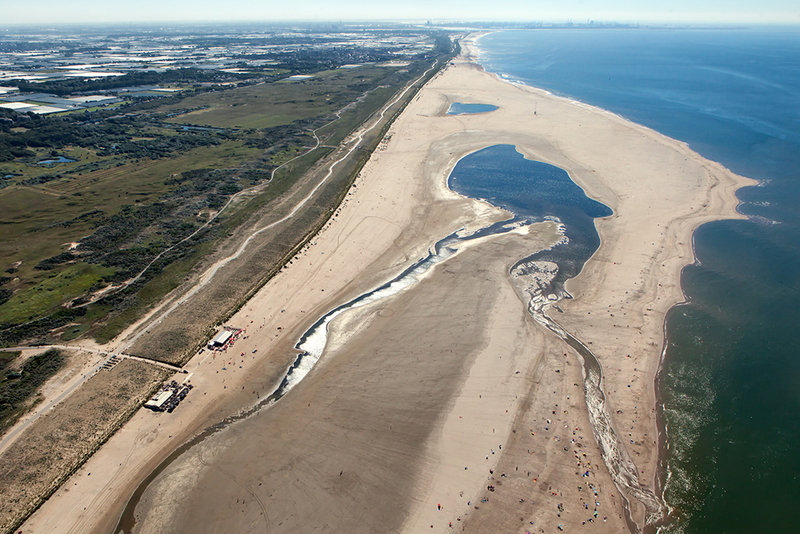 By building the Sand Motor (also known as Sand Engine), a peninsula on the coast near Ter Heijde (Zuid-Holland), Rijkswaterstaat and the provincial authority of Zuid-Holland try to find out whether nature can spread sand along the coast for us. 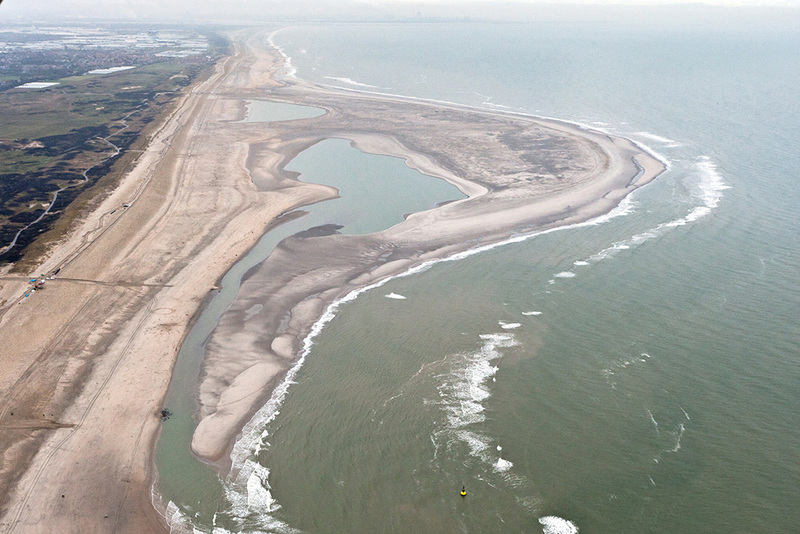 The hook-shaped peninsula, created in 2011, extends 1 km into the sea and is 2 km wide where it joins the shore. 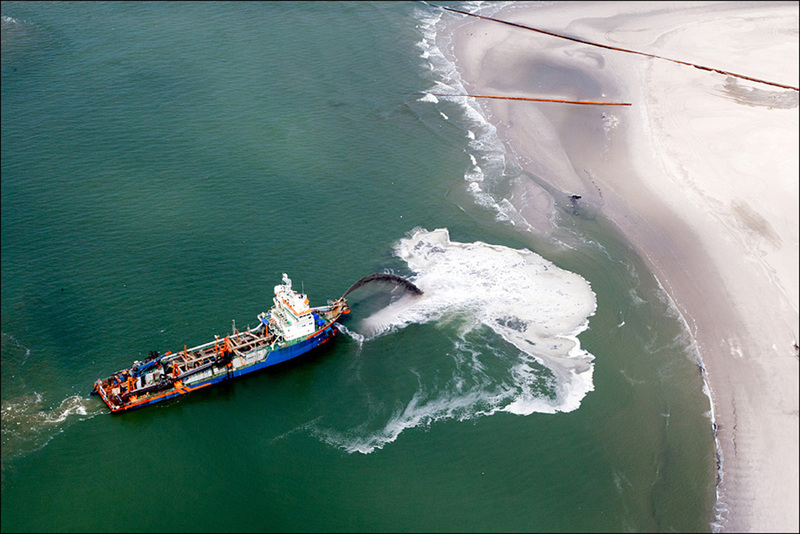 Trailing suction hopper dredgers picked up the sand ten kilometres off the coast and took it to the right place. 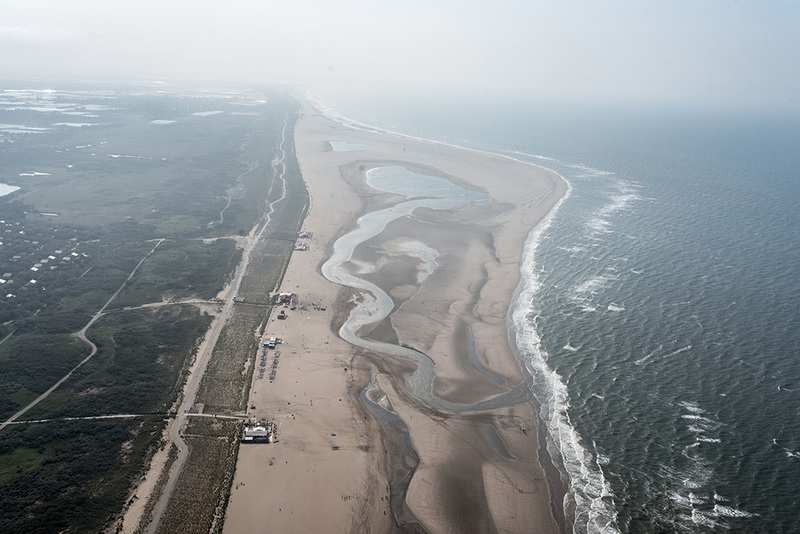 Two offshore replenishment locations alongside the peninsula are also part of the Sand Motor. 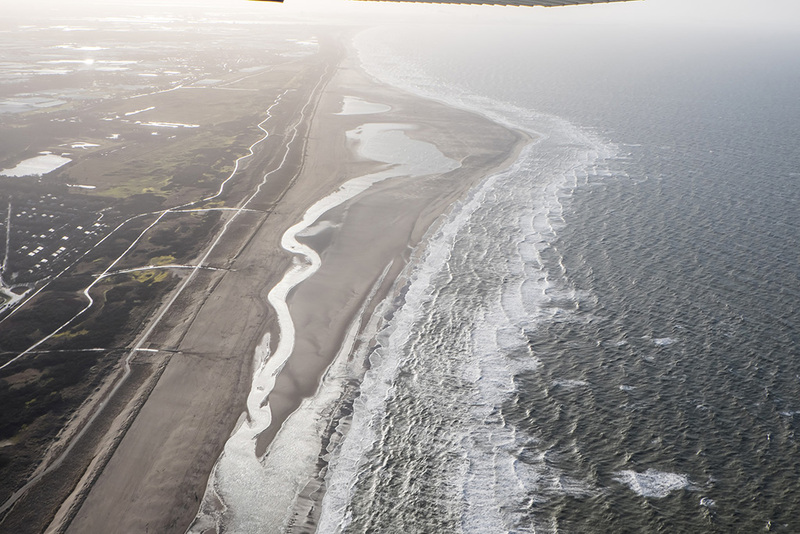 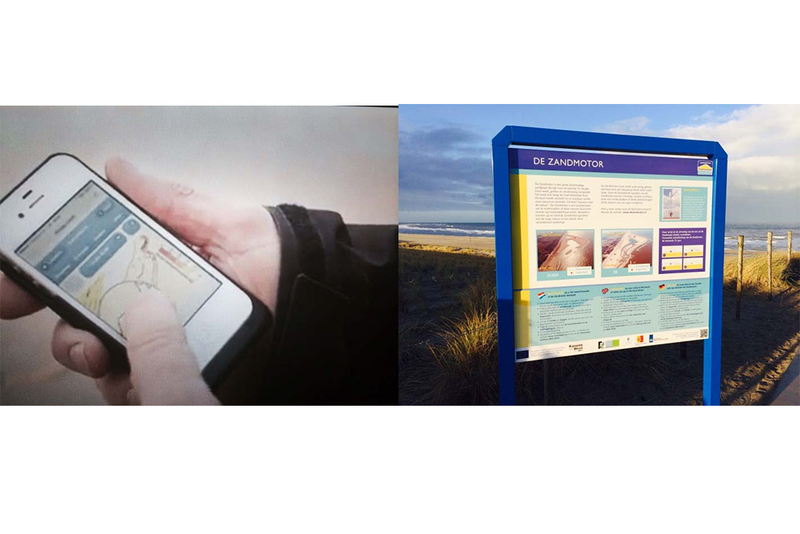 Five years ago the scheme started with three goals: increase coastal safety, create extra space for leisure and nature and contribute to knowledge development about coastal management. 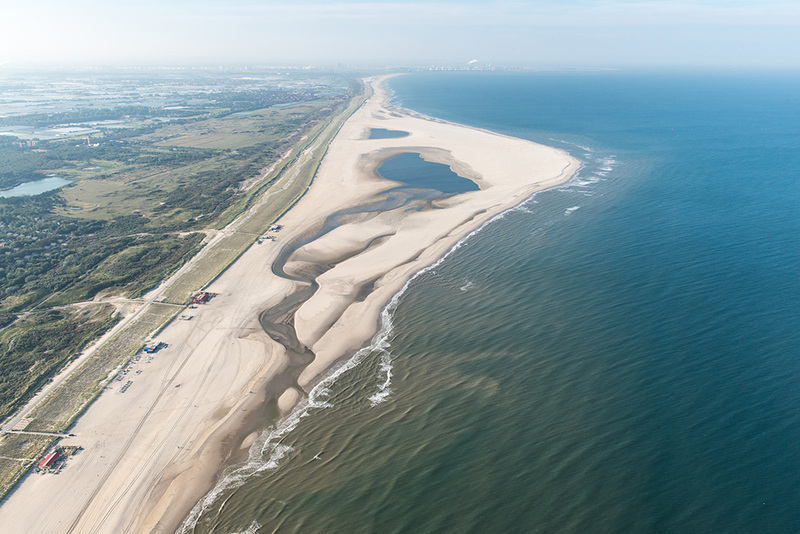 During the internationale congres ‘The Sand Motor: Five years of Building with Nature’ (september 2016) the results of the first major evaluation have been published. 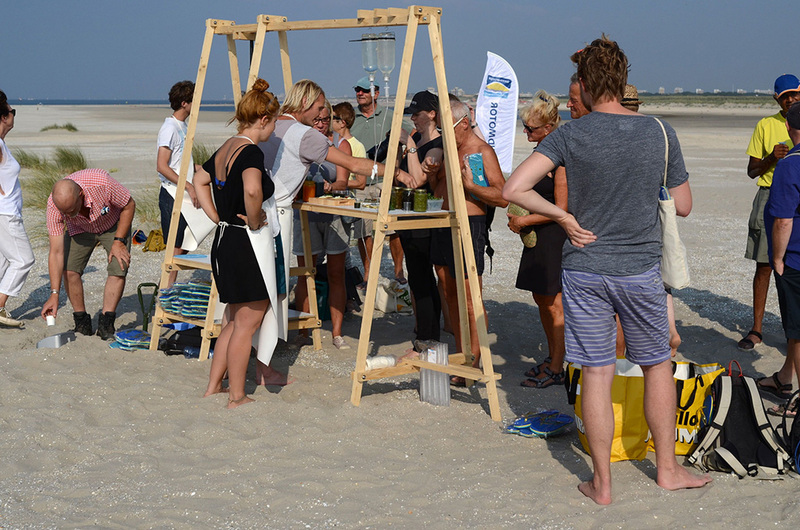 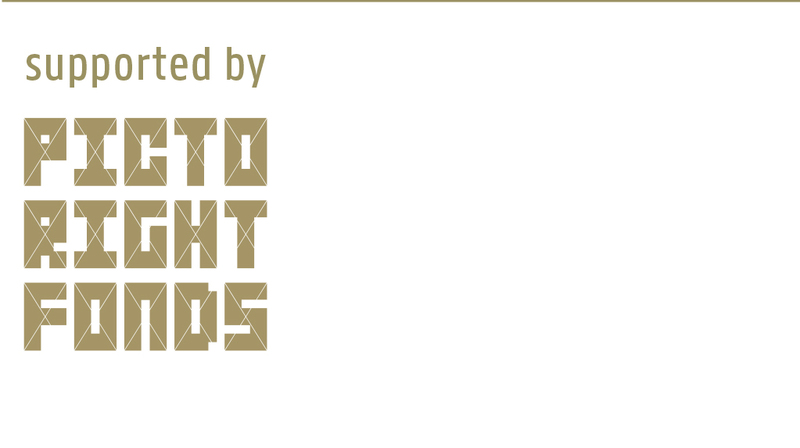 They show that these goals are achieved, sometimes even better than expected. 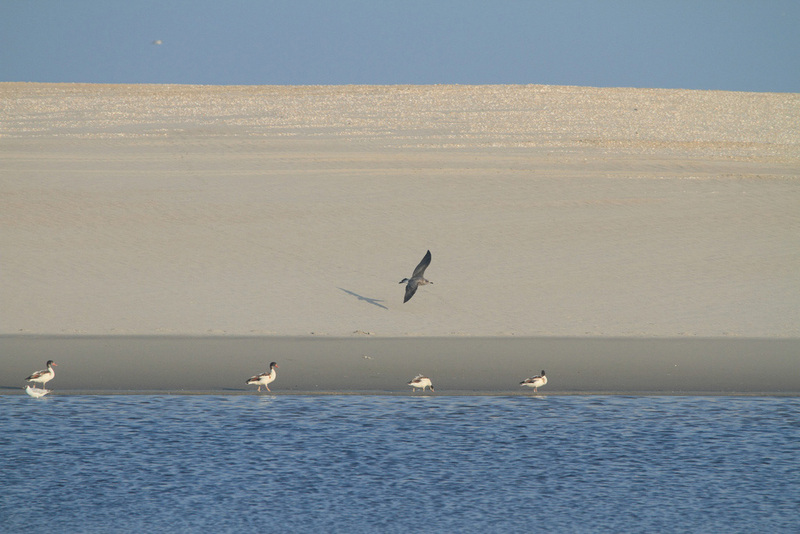 The Sand Motor has become an international icon of innovation. 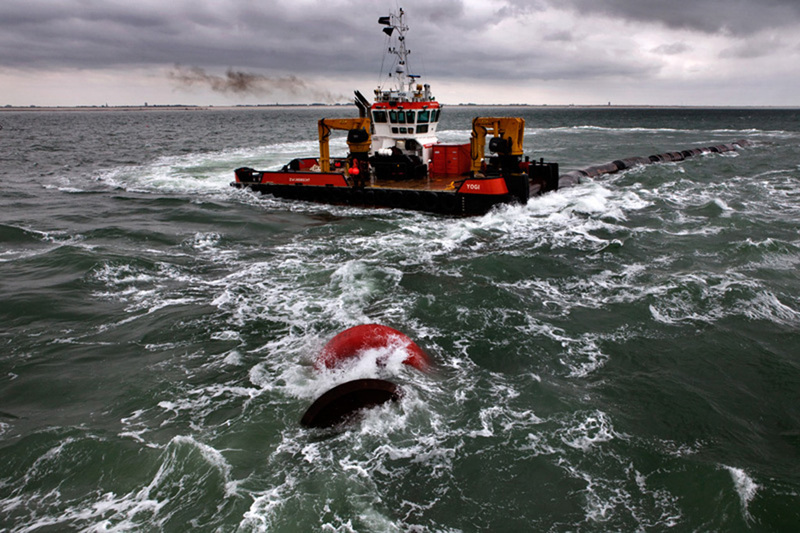 In Jamaica as well as in Norfolk in the United Kingdom, there are plans for a sandy strategy like the Sand Motor.